The Killakee Christmas Tree Farm is nestled in the foothills of the Dublin mountains in Rathfarnham, Dublin 16 near the Hellfire Club. Find directions here. Take a look at our complete opening hours for 2018 here. Like us on Facebook to follow any updates. Yes, we offer ample parking and a collection area so you don’t have to walk too far with your tree. How much are the trees? What types of Christmas Trees do you have? We grow Nordman Fir and Noble Fir trees at the Killakee Christmas Tree farm. Read more about our trees here. How does a visit to the Killakee Christmas Tree Farm work? 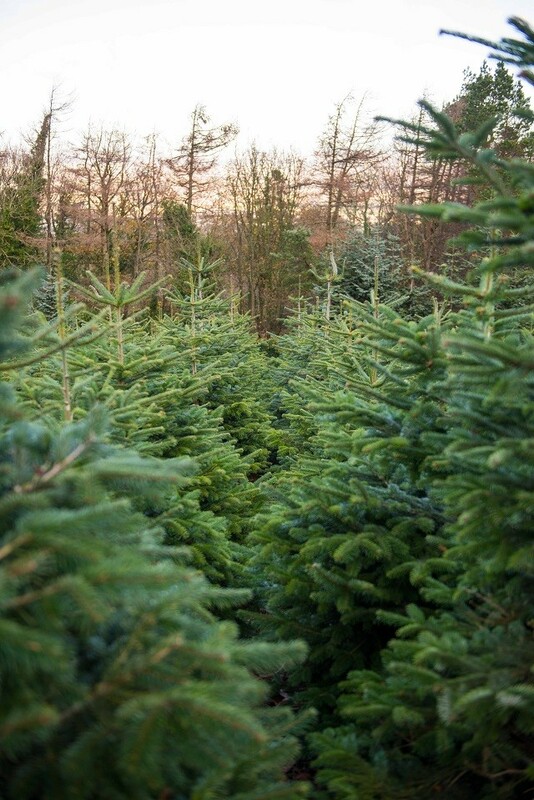 A visit to the Killakee Christmas Tree Farm to pick your perfect Christmas Tree from our forest is a very special experience. Take a look at what you can expect on your visit here. We accept both cash and card at Killakee Christmas Tree Farm. We do not accept cheques. Do you sell Christmas Wreaths? Yes, we offer Small Wreaths for €12 and large wreaths for €25 – handmade at our farm. Do you sell stands for Christmas Trees? Yes, we offer twist in stands for €10 and water-based stands for €20. We recommend water-based stands to prolong the life of your tree. We can trim the base or drill a hole in the base of your tree so your tree fits into the stand you will be using. How can we transport our tree home? At the Killakee Christmas Tree Farm we can net your tree for you (except very large trees) for ease of transportation. We have twine and helpful staff on hand to assist you with securing your tree in the boot of your car or on the roof. Read more about Transporting your tree here. How do we care for our tree? Keeping your tree hydrated is key to prolonging its freshness right through the Christmas season. Take a look at our tips on caring for your tree here. What do we do with our tree after Christmas? The county councils do a great job on recycling Christmas Trees turning them into mulch for the flowerbeds of the parks around Dublin. Take a look at where you can bring your tree to be recycled here.